'CUP FINAL' CHARLES BUCHAN'S MENS RETRO MOD FOOTBALL CUFFLINKS. They think it's all over.... 'Cup Final' is a brace of cufflinky goodness to finish off any Retro and Mod Mens Shirt in style. From the Charles Buchan's Football Monthly archives! 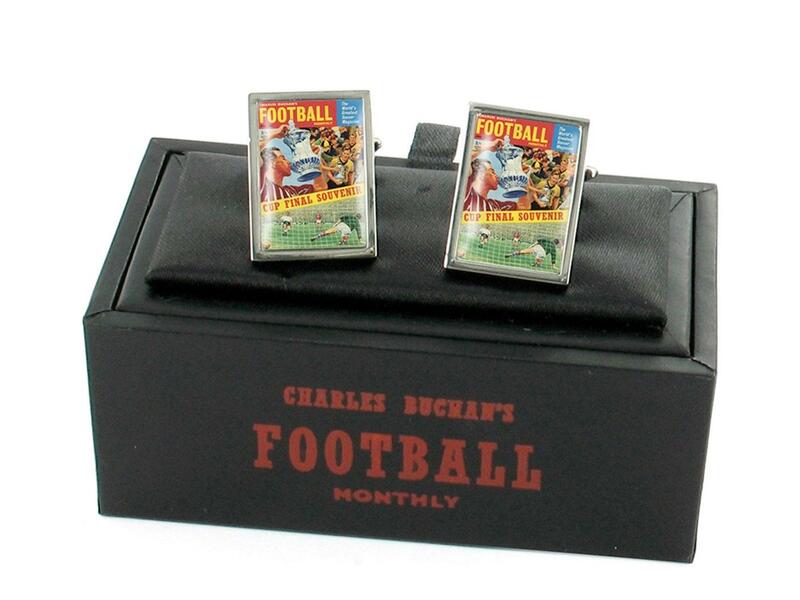 Charles Buchan's 'Cup Final' Retro cufflinks in neat display box with Charles Buchan Football Monthly cardboard sleeve surround. In presentation box, featuring the 'Cup Final Souvenir' cover of Charles Buchan's Football Monthly. Fab Retro Mod cufflinks with plenty of Vintage footballing nostalgia. Charles Buchan's Monthly was a football magazine edited by the man himself from 1951 until his death in 1960. The magazine continued until 1974 without it's founder at the helm. 'CUP FINAL' CHARLES BUCHAN'S MENS RETRO MOD FOOTBALL CUFFLINKS - Men's Retro Football theme cufflinks in black presentation box. SKU: CUP FINAL CUFFLINKS CB107 One size.